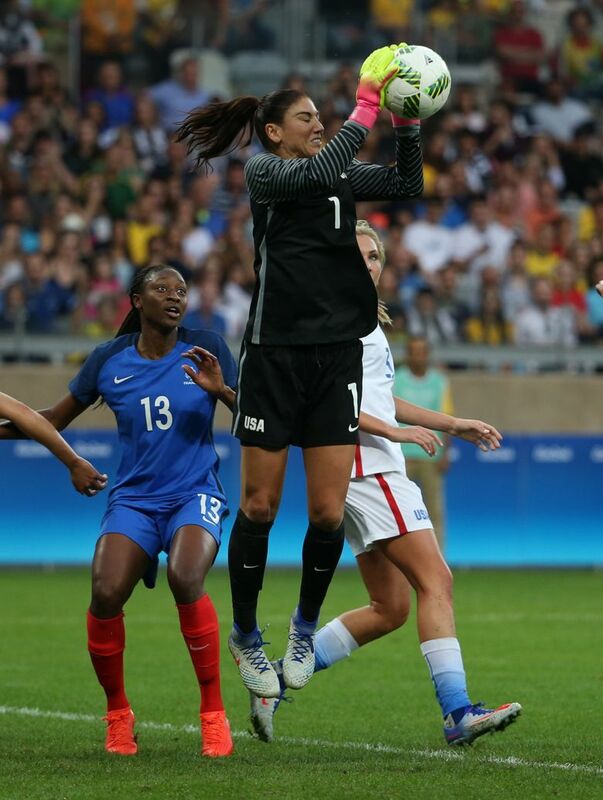 BELO HORIZONTE, Brazil — Hope Solo is arguably the best goalkeeper in women’s soccer history. But she’s clearly not the most popular. For the second time is as many games at the Rio Olympics, Solo was booed mercilessly every time she touched the ball Saturday. And for the second time Solo answered the taunts with a shutout in a 1-0 victory over France on a goal from Carli Lloyd in the 63rd minute. 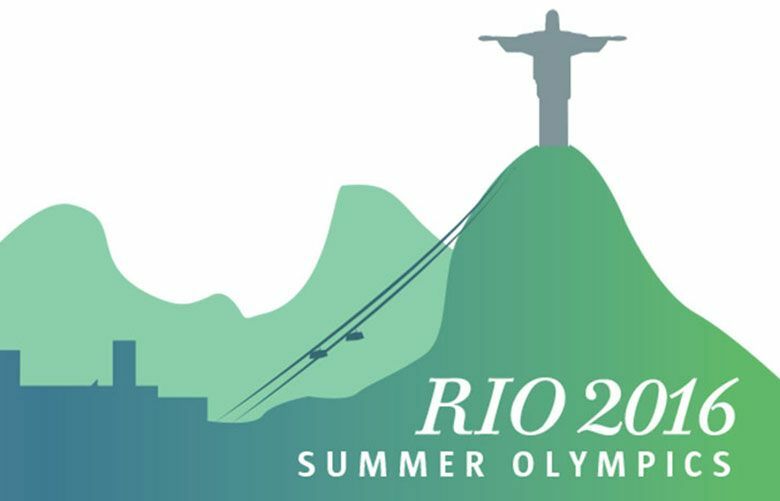 With the victory the U.S., the three-time defending Olympic champion, moved a big step closer to winning its group and earning a quarterfinal date in Brasilia against a third-place team. France, on the other hand, needs at least a tie to finish second in the group and win a quarterfinal trip to Sao Paulo, where it would play the winner of Group F, likely Germany or Canada. Both teams have one game left in group play Tuesday, the top-ranked U.S. against Colombia on the edge of the Amazon jungle in steamy Manaus and No. 3 France against New Zealand in the colonial port city of Salvador. That picture would be far more jumbled if not for Solo, who was making the 200th appearance of her international career, the most by any goalkeeper, male or female, in history. The Brazilian crowd was in no mood to help her celebrate the milestone. Each time she touched the ball the crowd booed loudly — or as loudly as a crowd of about 10,000 people can boo — then chanted “Zika!” each time she took a goal kick. Last month Solo, who said she had considered skipping the Olympics because of the Zika virus, posted photos of herself on Twitter wearing an anti-mosquito mask and holding a bottle of insect repellent, angering many Brazilians. Solo later apologized but the apology wasn’t accepted by everyone. After Wednesday’s opening defeat of New Zealand, in which Solo was also booed loudly, three American players said they were told by Brazilians near the U.S. bench that some fans had mixed anti-gay slurs with the Zika chant. Whatever they were saying Saturday, Solo used their anger to fuel what might have been one of the best performances of her career. 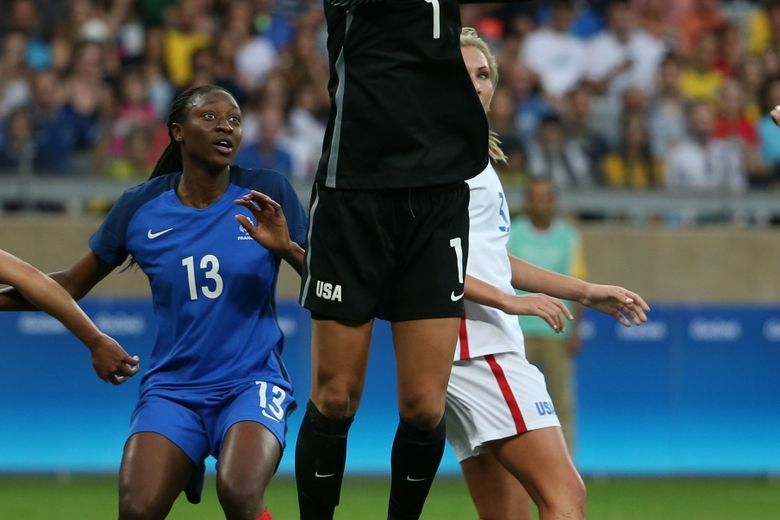 In the 15th minute she lifted a header by Wendie Renard over the crossbar. In the 26th minute, Marie-Laure Delie came in alone on Solo, who stood her ground, using both fists to bat away a point-blank shot. Then just before the intermission, Delie fought her way around left back Meghan Klingenberg and had another one-on-one situation with Solo, who smothered the shot. France easily could have led by three goals at the break. Instead the game was scoreless. 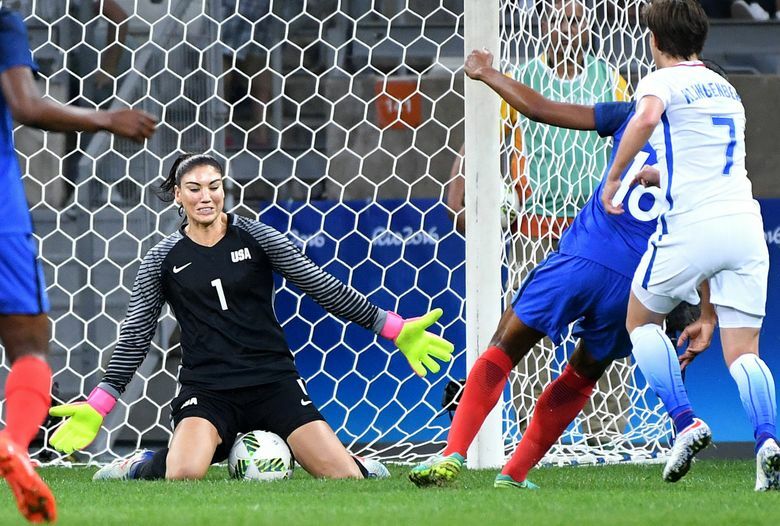 Early in the second half Alex Morgan almost stole a goal for the U.S. after French keeper Sarah Bouhaddi bobbled the ball while going to the ground to make a save. The ball bounced straight to Morgan but she couldn’t get off a decent shot before tumbling over the end line. A couple of minutes later the U.S. was back, with Tobin Heath getting off a strong left-footed shot. Bouhaddi got a hand on that one too, deflecting it off the right post. But the ball ricocheted right to Lloyd, who had an easy tap-in for the goal. Two of the three U.S. goals in this tournament have been scored by Lloyd, the reigning FIFA world player of the year, and both have been set up by Heath. Given a lead, Solo then closed the game by making a diving two-handed stop of a Delie header and a leaping save on a corner kick before coming off her line twice to make another pair of saves seconds apart in the 82nd minute, preserving the 102nd shutout of her career. That, too, is a record. For France and Delie — who will likely by seeing Solo in her nightmares — Saturday’s result continued a frustrating trend. Twice previously it had played the U.S. in a world championship competition only to lose, in the group stage four years ago in London and in the semifinals of the 2011 World Cup.